In this new book, Ulrich Beck develops his now widely used concepts of second modernity, risk society and reflexive sociology into a radical new sociological analysis of the cosmopolitan implications of globalization. Beck draws extensively on empirical and theoretical analyses of such phenomena as migration, war and terror, as well as a range of literary and historical works, to weave a rich discursive web in which analytical, critical and methodological themes intertwine effortlessly. Contrasting a ‘cosmopolitan vision’ or ‘outlook’ sharpened by awareness of the transformative and transgressive impacts of globalization with the ‘national outlook’ neurotically fixated on the familiar reference points of a world of nations-states-borders, sovereignty, exclusive identities-Beck shows how even opponents of globalization and cosmopolitanism are trapped by the logic of reflexive modernization into promoting the very processes they are opposing. A persistent theme running through the book is the attempt to recover an authentically European tradition of cosmopolitan openness to otherness and tolerance of difference. What Europe needs, Beck argues, is the courage to unite forms of life which have grown out of language, skin colour, nationality or religion with awareness that, in a radically insecure world, all are equal and everyone is different. Introduction: What is 'Cosmopolitan' about the Cosmopolitan Vision. Global Sense, Sense of Boundarylessness: The Distinction between Philosophical and Social Scientific Cosmopolitanism. The Truth of Others: On the Cosmopolitan Treatment of Difference - Distinctions, Misunderstandings, Paradoxes. Cosmopolitan Society and its Adversaries. The Politics of Politics: On the Dialectic of Cosmopolitanization and Anti-Cosmopolitanization. War is Peace: On Postnational War. Cosmopolitan Europe: Reality and Utopia. "Excites intellectual reflexivity and adds to our repertoire of knowledge, not only about cosmopolitanism but also about our current social, cultural and historical predicament. It is for this (but not only this) reason that we should sit up and listen to what [Beck] has to say." "Beck's contribution to the normative construction of a cosmopolitan vision in the world today inspires hope and confidence in a new era of global political and social relations." 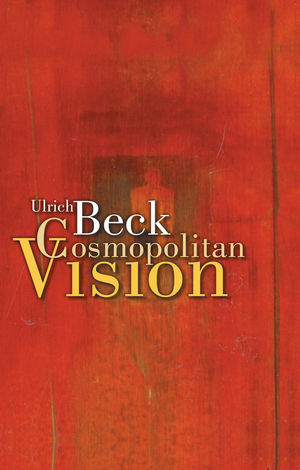 "Once again, Ulrich Beck has brought a distinctive perspective to a major social issue. He rightly sees that cosmopolitanism cannot simply be wished into reality but can only be achieved on the basis of confronting basic issues of social inequality. We need to pay attention." A major new book by one of the leading social thinkers of our time. Beck draws extensively on empirical and theoretical analyses of such phenomena as migration, war and terror, as well as a range of literary and historical works. A persistent theme running through Beck’s reflections is his attempt to recover an authentically European tradition of cosmopolitan openness and otherness and tolerance of difference.